Saxon live in Hamburg, 2011. Photo by Kai Swillus, courtesy of www.saxon747.com. Out of the hundreds of metal bands that arrived stateside when the new wave of British heavy metal crashed our shores in the late ‘70s, only a select few managed to ignite interest and inspire genuine loyalty from discerning American metalheads. Even fewer have retained and cultivated their musical mojo to a level that still allows them to hit the road and record in the 21st century. 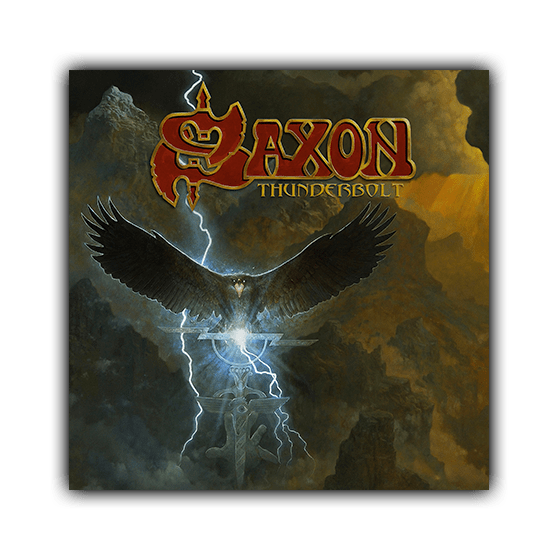 Saxon, currently opening for Judas Priest on their Firepower trek, will be playing select headlining dates on nights off from the Priest tour, one of which lands them at Delmar Hall in St. Louis on Wednesday, April 4th. They haven’t graced a stage in town since they opened for Motorhead at The Pageant on that band’s final tour, and it’s been even longer since STL fans had the opportunity to enjoy a headline show from these legends. Touring behind their recently released 22nd studio album Thunderbolt, the show is rumored to be a proper mixture of classic tracks dating back to their self-titled 1979 debut, going all the way up to their latest work. Don’t let the term “latest work” scare you away, though. The new record boasts a fatter sound, tricked-out arrangements, and the guys are playing at the top of their game. Sure, hipster-doofuses may scoff at tunes like “Battering Ram” and “Live to Rock,” but is it any sillier than Little Richard singing “Good Golly Miss Molly”? The focus is on fun with a capital FU, and the band has been releasing their unique brand of melodic metal with a consistency rarely seen in this genre; their live show is a celebration of their history and the genre as a whole. Yes, you can expect to hear old-school Monday Night Metal staples like “Princess of the Night” and “Denim and Leather,” but the headline slot will allow them to dive into the deep cuts as well as the brand new jams, all spearheaded by frontman Biff Byford’s distinctive Yorkshire howl. Opening the show will be Dark Star Riders, led by Thin Lizzy guitarist Scott Gorham, with the band touring in support of their latest long player, 2017’s Heavy Fire. Expect to hear some choice Lizzy cuts mixed in with the new material.